The Fourth Squad reports the details of an arrest for Burglary that occurred on Wednesday, June 17, 2015 at 2:15 am in Franklin Square. Franklin Square, NY - June 17th, 2015 - The Fourth Squad reports the details of an arrest for Burglary that occurred on Wednesday, June 17, 2015 at 2:15 am in Franklin Square. According to detectives, police received a call for a burglary in progress at the Plattdeutsch Restaurant 1132 Hempstead Turnpike. A male subject was seen inside the restaurant and then exiting through a kitchen window. Upon arrival, police observed a male subject running toward the adjoining property. After a brief search, officers apprehended and placed under arrest defendant Rimel Myers, 26, of Front Street, Hempstead. A computer bag containing a digital camera, keys, assorted jewelry, projector, iPod touch, laptop, assorted computer cables and a check book were recovered. It was also determined that the defendant entered the restaurant by breaking a basement window. Defendant Myers is being charged with Burglary 3rd Degree and will be arraigned on Wednesday, June 17, 2015 at First District Court, Hempstead. Steals & Deals: Savings at the Movies, Free Frosty’s and Other Fast Food Restaurant Deals! 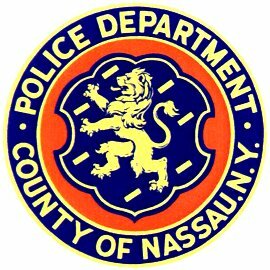 Subject: LongIsland.com - Your Name sent you Article details of "Hempstead Man Arrested for Burglarizing Plattdeutsch Restaurant"